Foshan City Kamayson Metal Product Co., Ltd. 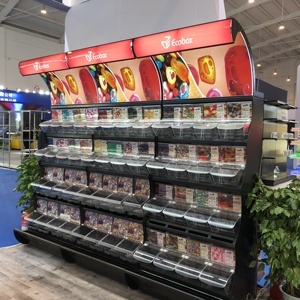 Factory building area is over 12,000 squ a re meters, with more than 18 years experience in design and manufacture of advertising cardboard display stands and packing box. Q:Can you help me to work out the dimensions of the display9 A:Yes, please advise the sizes of your product/packaging and how many product per display. Weight of product is also necessary, to help us decide if need to reinforce the display or not. 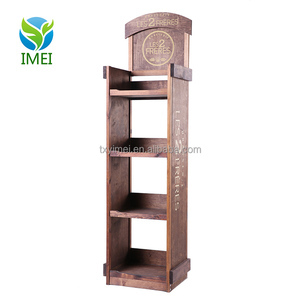 OEM Wood Bread Display Shelf Rack Display Rack Our factory is specialized in custom made bread display shelf , we export the bread display shelf to USA, UK, AU, Korea, Canada, and Russia. 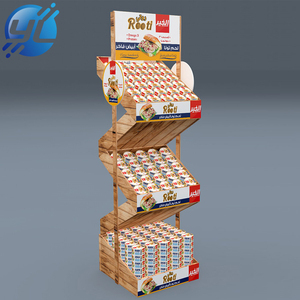 OEM Wood Bread Display Shelf Rack Display Rack We provide OEM and ODM service for the Bread Display Shelf Display Case , we have extensive experience to provide the right solutions for your retail stores, on time, on budget. OEM Wood Bread Display Shelf Rack Display Rack OEM Wood Bread Display Shelf Rack Display Rack OEM Wood Bread Display Shelf Rack Display Rack Wood bread display rack can help you make the most of valuable store space and maximize the opportunity for sales, retailers need bread display rack that can be adapted to a variety of stores, and we have a variety of bread display rack , shop fittings that suit a multitude of purposes in a retail store. We believe that with our sincere hospitality, we can help our customers and partners to save money, save worry and save time. 6.Q: How could I install the racks9 A: We provide detailed install instruction for every type of shelf. Main rack is the start rack with 2 uprights and add on rack is the continue rack with only 1 upright. 2. Why Choose After years of development, we have created a wealth of experience in sales and after-sales service. 3.Our customers We have cooperated with 110 customers who are from Europe, USA, Australia and South America. Please be assured that we will serve you with priority and pleasure. 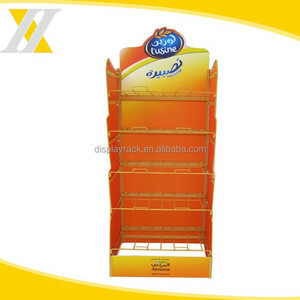 Alibaba.com offers 4,100 bread display rack products. About 65% of these are display racks, 14% are supermarket shelves, and 4% are stacking racks & shelves. A wide variety of bread display rack options are available to you, such as metal, wood, and acrylic. You can also choose from single-sided, double-sided. As well as from display stand, supermarket rack, and wire shelving. 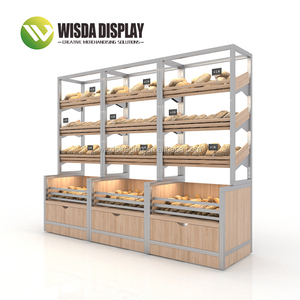 And whether bread display rack is heavy duty, or light duty. There are 4,034 bread display rack suppliers, mainly located in Asia. The top supplying countries are China (Mainland), India, and Hong Kong, which supply 97%, 1%, and 1% of bread display rack respectively. 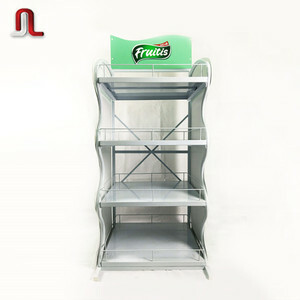 Bread display rack products are most popular in North America, South America, and Western Europe. You can ensure product safety by selecting from certified suppliers, including 668 with ISO9001, 226 with Other, and 88 with ISO14001 certification.